Wide leather collar is a perfect choice, if you are looking for a perfect training collar for your Mastiff. If you appreciate practical and multifunctional dog training equipment, that combines simple design, high quality and comfort pay attention to this wide leather collar. Wide leather dog collars are perfect for handling your big and active Mastiff. 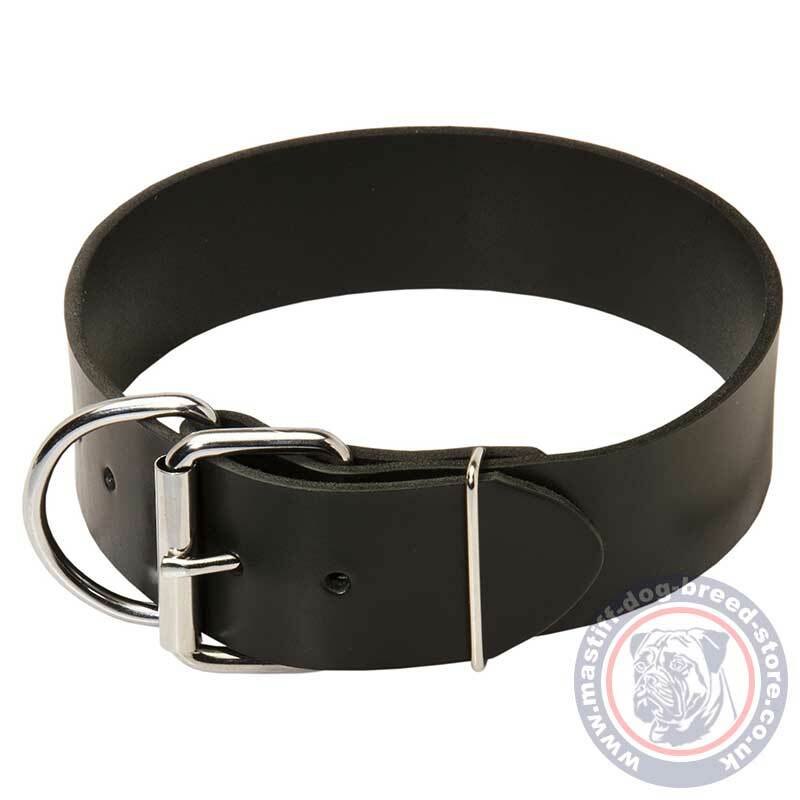 Due to its width, the wide leather collar helps to reduce the chance of hurting your pet, if it pulls too hard. Big dog collars are accounted for strong dogs to provide better control while walking and training. Being made of premium quality ecologically clean, full grain genuine leather, the wide leather collar is absolutely non-toxic and non-allergic. Especially selected leather material provides maximum comfort for your canine, because it won’t irritate or rub your pet’s skin and fur. These big dog collars are also lightweight, which makes them perfect for using during long training sessions and everyday walking. All metal parts are steel nickel plated; they are protected from rust and corrosion. The wide leather collar is equipped with special D-ring for leash attachment. Hi Helen, I received my parcel two days ago. The collar looks stunning!